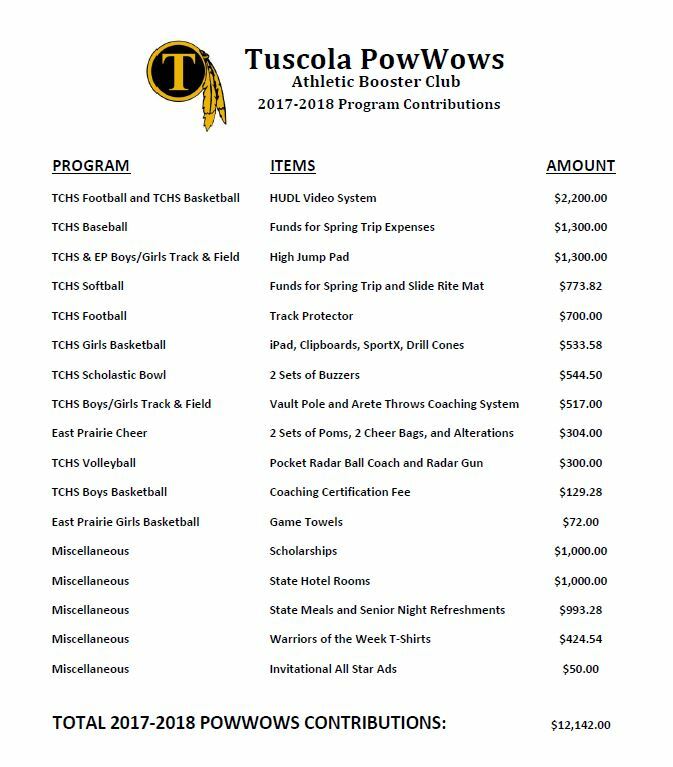 PowWows provides financial assistance to the athletic programs of Tuscola Community High School and East Prairie Middle School. Each year, coaches for all sports programs are asked to submit a request for specific items they feel would benefit their programs and athletes. PowWows consults with the District's Athletic Director regarding appropriateness and practicality of items requested; however, final decisions regarding the distribution of funds are determined by a majority vote of PowWows Officers and members present at the meetings in which Wish List items are discussed. Since 2009, PowWows has provided over $90,000 in financial support to the sports programs of TCHS and East Prairie.